Effective and Economical against a wide range of insect tests. Broad- Spectrum systemic insecticide with contact and stomach action. It has quick knockdown action. It is not phytotoxic on any crops if used at recommended doses. 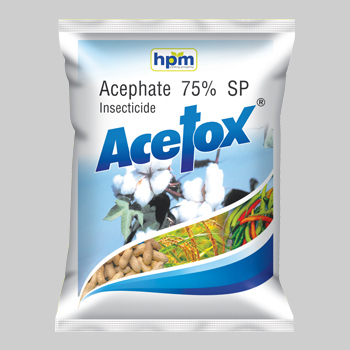 HPM India is one of the best Acephate 75 SP manufacturers in India, Contact us now. 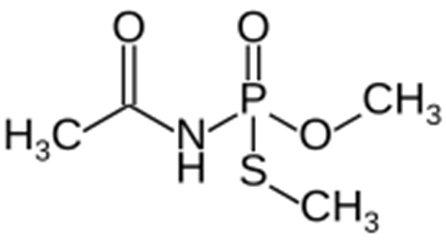 Acephate is an insecticide that belongs to the organophosphate group of chemicals. It is typically used as a foliar spray against chewing and sucking insects, such as aphids, leaf miners, Lepidopterous larvae, sawflies, and thrips on fruits, vegetables, potatoes, sugar beet, vines, rice, hops, ornamentals, and greenhouse crops like peppers and cucumbers. It can also be applied on food crops and citrus trees as a seed treatment. It is cholinesterase inhibitor. Insecticide with contact, stomach and systemic toxicity. Effective and Economical against a wide range of insect tests. Broad- Spectrum systemic insecticide with contact and stomach action. Acephate breaks down to methamidophos in the environment by microbes in the presence of oxygen.Methamidophos is more toxic to birds and mammals than its parent compound, acephate. 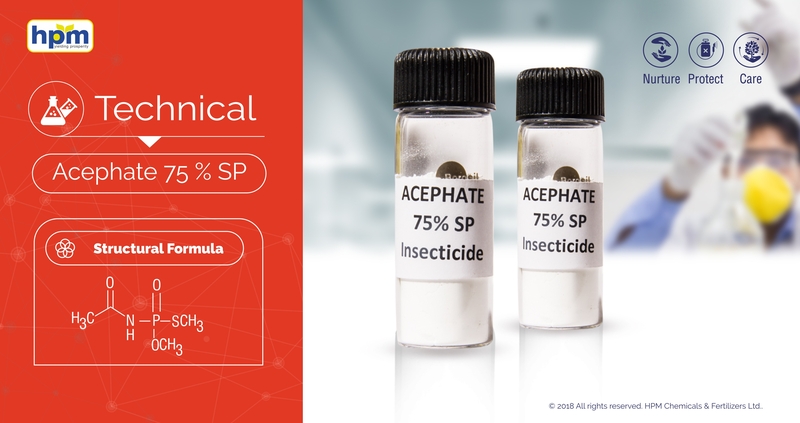 Acephate is moderately toxic to birds, slightly toxic to fish and amphibians, and highly toxic to bees and other beneficial insects.